According to Craig Mod, writing on the New Yorker’s Elements blog, all we really need is a “networked lens”. Makes me want to shout “Up in the sky, look! It’s a camera. It’s a phone. It’s Supercam!”. 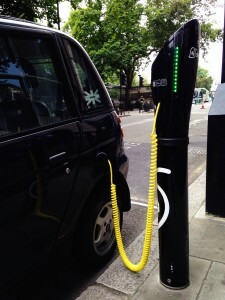 Electric car charing point in London. Spotted this car being charged on Temple Place earlier today. 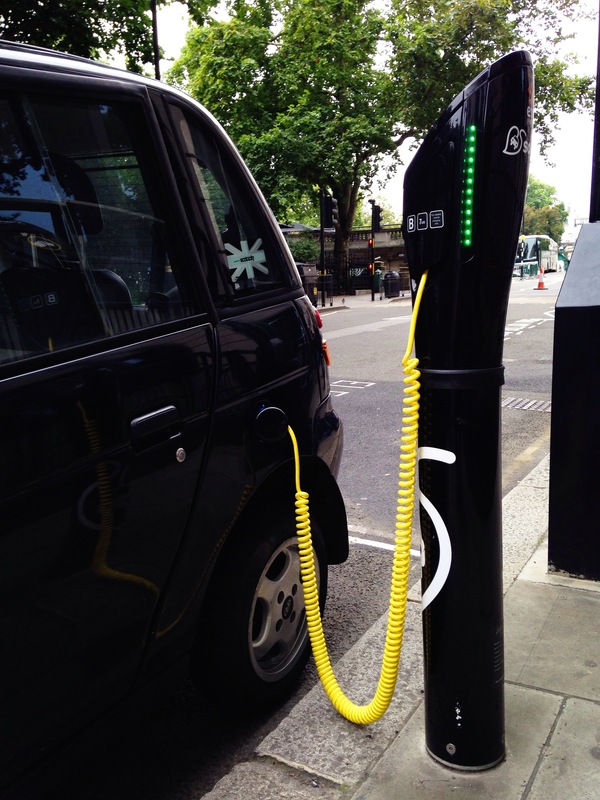 Apparently there are now more than 1,300 charge points for electric cars in London. Google Maps is a dynamic mapping application brought to you by the clever people at … Google. It’s dynamic because you can reposition the map “on the fly” (ie without having to reload your browser), so it’s much quicker than most of the other mapping applications available on the web. Google has encouraged people to develop their own applications for its maps, and one of the best that I’ve come across in recent weeks is OnOneMap. It describes itself as “the UK’s first property search engine map”, and I can see how it might become an essential resource for anyone hoping to buy property in the UK. The idea is simple, but new: people and agents with houses to sell inform OnOneMap of the details and OnOneMap displays their properties on Google’s maps. You can filter the properties by many different criteria, not the least of which is price, and then view all the available properties that match your requirements in the neighbourhood of your choice. Prior to OnOneMap the only way to obtain as comprehensive a list of available properties in a single neighbourhood was to drive around the area looking for “For Sale” signs while compiling your own list with pencil and paper! (Well OK, maybe a pen.) So if good property really is a case of “location, location, location”, OnOneMap should do very well. The acquisition by eBay of Skype is a helpful reminder to the world’s trillion-dollar telecoms industry that all phone calls will eventually be free. Free calls struck me as too good to be true, but then last week I discovered that BT has decided to compete directly with Skype by under-cutting its prices significantly until the end of the year. You have to use BT’s VOIP software, known as BT Communicator, but then calls to North America are only 0.5p per minute. Last month calls to Australia were completely free. Perhaps the Economist’s prediction is correct. Yesterday provided yet more evidence that the internet is transforming the media. In this case The Guardian newspaper is behaving like a radio broadcaster. Yesterday’s entry on its Conference Blog (New Labour is really a post-Thatcherite party) contains a link to an audio interview with Tony Benn at this week’s Labour Party conference in Brighton. So if you haven’t time to read the paper, you may find it more convenient to listen to it instead! The BBC has started to provide MP3 recordings of some of its radio programmes. In cyberspace this phenomenon is called “podcasting” (after the ubiquitous Apple iPod which can be used to play these files) and it’s all the rage. I’m a cynic when it comes to the hype surrounding podcasting. It’s been simple to record radio programmes on tape for most of my life, and it’s been possible to make your own MP3 recordings automatically, using software such as Total Recorder, for several years already. So I find it difficult to get excited about recording them digitally now. Nevertheless, I welcome the BBC’s initiative, if only because one of my favourite Radio 4 programmes is included in the trial — In Business. See the BBC’s Download and Podcast Trial for more information.